Phnom Penh is a busy trade hub and it is the capital of Cambodia. The city is home to a slew of attractions and it offers its guests a plethora of things to do. Read on to know why you should visit Phnom Penh. Cambodian cuisine is diverse and it is full of flavours you have never tasted before. Cambodian food typically consists of food that contrasts different textures and tastes. They typically consist of local ingredients with a variety of herbs, leaves, dipping sauces, pickled vegetables and more goodies! Phnom Penh has a wide array of markets and visiting one of them is an excellent way to explore their culture. The markets here houses a variety of shops that specialize in selling souvenirs, ornaments, handicrafts and even electronics and other consumer goods. There will also be a number of stalls and shops that sell street food. Cambodia is well known for its temples and monuments of great historical significance and the city of Phnom Penh is scattered with a number of historical temples and shrines. 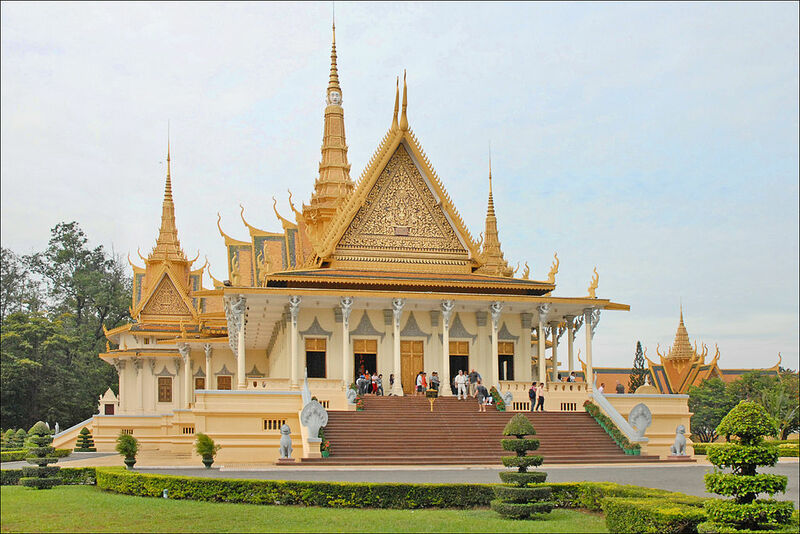 Wat Phnom is one of the popular temples in the city and if you are planning to visit here, and looking for short-term apartment rentals in Phnom Penh for your stay, Somerset Norodom Phnom Penh is an option worth considering. Phnom Penh is home to a number of massage parlours and beauty spas that offers a variety of treatments. You could get a foot massage for as low as a dollar here and sometimes even lesser! Previous Post Hong Kong Theme Parks for a Family vacation – A land of theme parks!